Elite Staffing is redefining the concept of a temporary employment service by supplying businesses, manufacturers, drop-shipping companies, and fulfillment companies with highly skilled and professional contract employees nationwide. The app’s target audience is job assignees who come into Elite Staffing branch office and print their job descriptions. The user will come up to the iPad (or Android tablet) kiosk and get their job based on title/location/client name. The user will then type in their name and sign (or not sign) via the iPad and then print their job description. 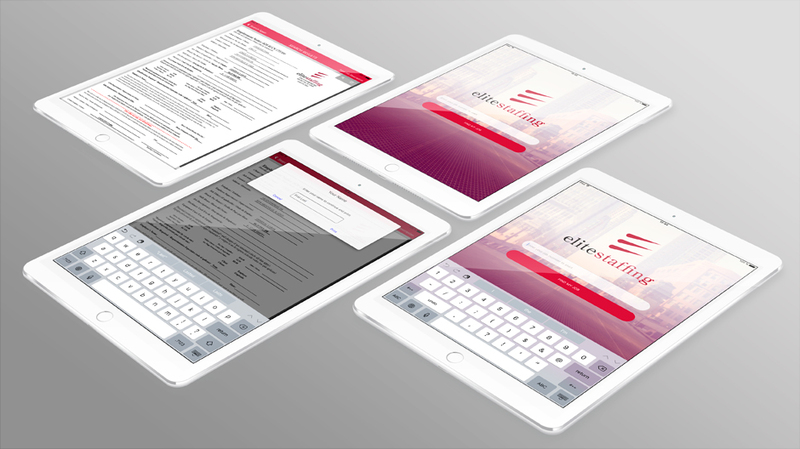 The documents were to be input as Word or editable PDF via a backend content management system (CMS) that is managed by the IT department at Elite Staffing. No user authentication or data storage was required. The solution required online connection to retrieve the documents from the backend system. The project took 2 months to complete.